This entry was posted in Uncategorized on January 1, 2012 by ianwilleyart. 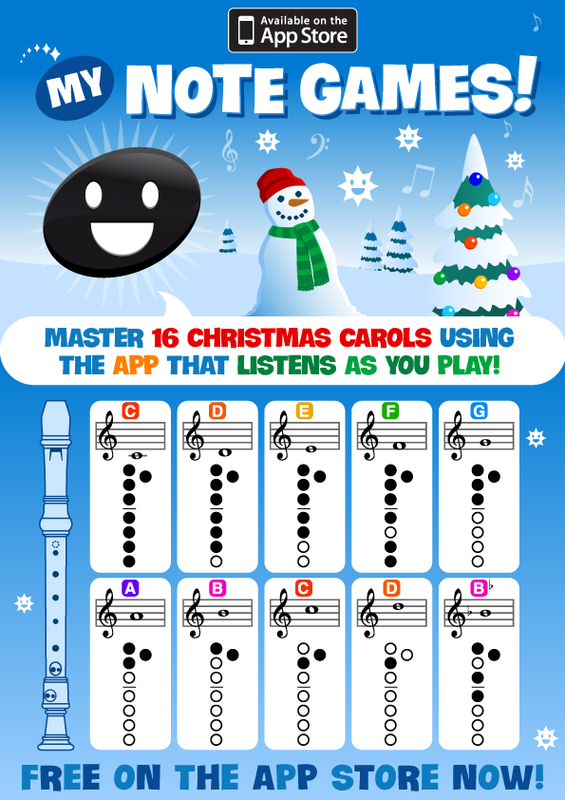 We came up with the idea of the “Christmas Carol Challenge”, where we would use ‘My Note Games!’ to help the presenters learn how to play Silent Night on descant recorders. As you can hear in the stream they all did jolly well! This entry was posted in Uncategorized and tagged Christmas Carols, One Life Left on December 14, 2011 by ianwilleyart. This entry was posted in Uncategorized and tagged Christmas Carols, One Life Left on December 7, 2011 by ianwilleyart. This entry was posted in Uncategorized and tagged Christmas Carols, Recorder on December 2, 2011 by ianwilleyart. 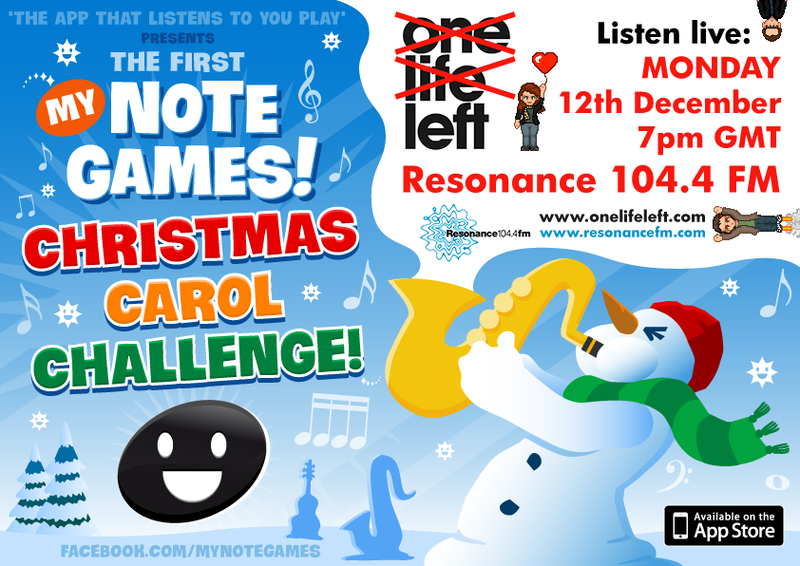 ‘My Note Games!’ has now been updated to include a great new festive game “Play-A-Carol”. This entry was posted in Uncategorized and tagged Christmas Carols on December 1, 2011 by ianwilleyart.